The Shift is a female-focused speaker series centered on defining and fueling women’s career trajectories. Responding to the 2018 Milwaukee Women Inc. Advancing Women Leadership report, we will explore topics around achieving gender parity in the workplace and highlight intergenerational stories of female leadership. The program will feature an opening keynote, a panel discussion, inspirational storytelling sessions and a closing presentation. The evening will also include networking, live music, complimentary drinks, and complimentary appetizers while they last. Diversatek, Inc. is a global, multi-platform healthcare solutions manufacturing company. 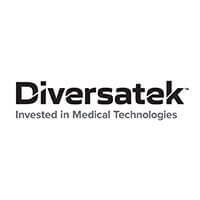 Invested in a broad and ever growing line of medical technologies, Diversatek manufactures and markets products and solutions for diagnostic and therapeutic procedures , continuing care and rehabilitation, and medical device OEMs. Diversatek owns and operates manufacturing facilities in Wisconsin (Greater Milwaukee area), Colorado, Virginia, and Saigon, Vietnam. Our Technical Research and Training Center in Denver, CO boasts a best-in-class clinical education and product training center for healthcare providers worldwide. VP – General Counsel & Corporate Secretary at Kohler Co.